Summer is here and that means it is time to pack up the family and head to the amusement parks. The BEST amusement parks have water parks too! A place to cool off and take a tropical plunge on a hot day after riding rides is a definite must when you are taking the family out for a day of fun. 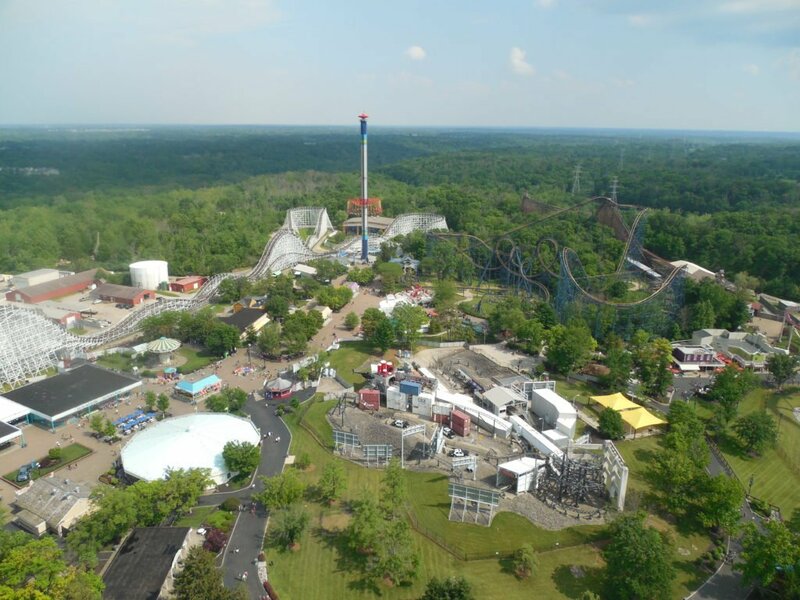 If you are looking for an amusement park just like that, one that has amazing rides and a super water park, you can find it at Kings Island! My kids and I are huge fans of water. If I had to choose, I’d always choose to be in the water over being on a ride. There is just something so soothing about nice cool water on a blazing hot day. 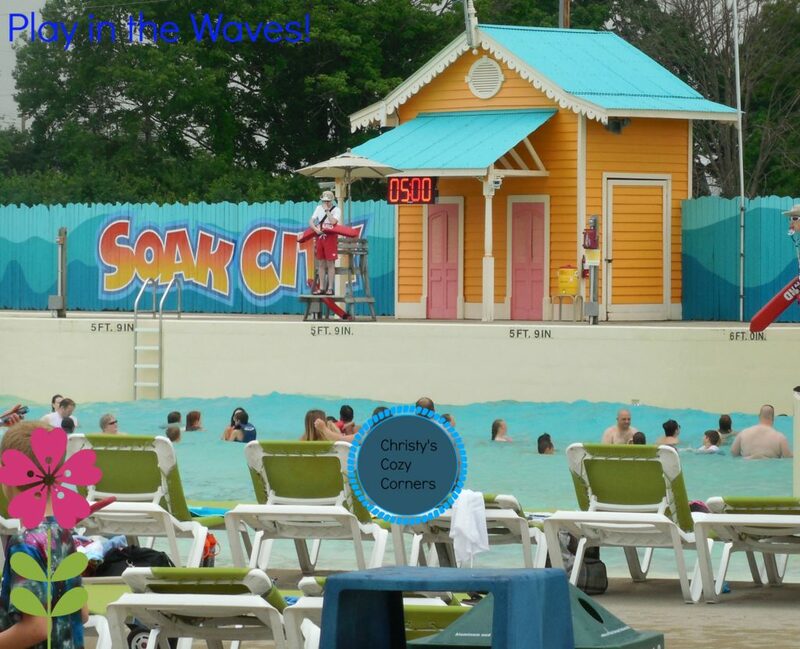 Soak City at Kings Island is such a great water park! This year they added a brand new attraction in Soak City called the Tropical Plunge. The Tropical Plunge is a complex of six water slide experiences towering at nearly 7 stories. Three of the slides on the 65-foot tall complex start with guests climbing inside an Aqua-Launch chamber where they wait for the floor to drop out from underneath their feet, sending them into a high-speed, almost vertical free fall through a series of flat loops and S-curves in a translucent flume. Doesn’t that look amazing? Tropical Plunge also features a slide that sends riders twisting and spiraling through an enclosed chute featuring four intense 360-degree loops across 449 feet of slide before they’re released out into a pool of water and dueling 337-foot long tube slides that zip riders through an enchanting series of drops and turns. 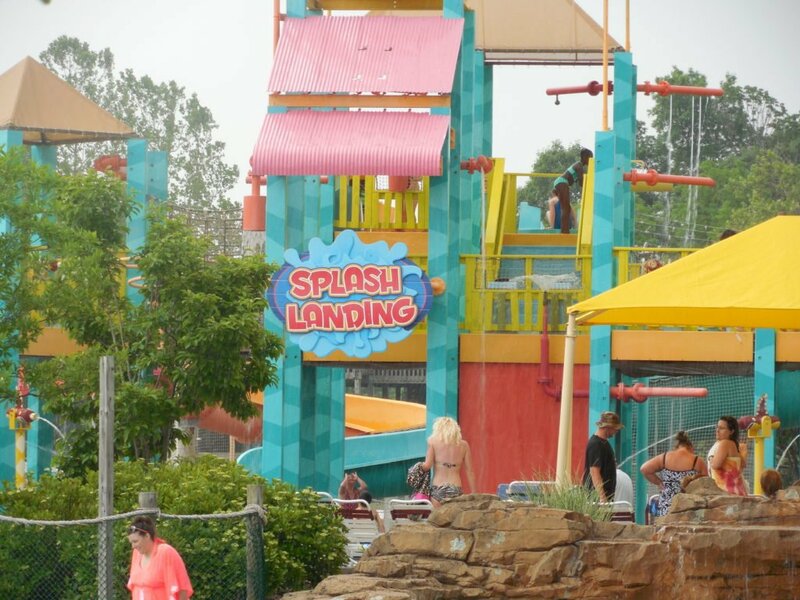 Tropical Plunge is only a small part of Soak City and you will love it all! There are more than 50 water activities in Soak City, including 36 water slides, tropical lagoons, rushing rivers, and surfable waves including a 650,000-gallon wave pool, Tidal Wave Bay. There is a special area just for kids called Splash Landing where the kids can enjoy water slides just their size. My favorite part of Soak City has to be Splash River where you float lazily along a twisting river and try to avoid your children pushing you under the waterfalls along the way. My kids loved the Zoom Flume. There really is something for everyone at Kings Island. I haven’t even begun to mention the thrilling park rides at Kings Island including the Record Breaking Rollercoaster called Banshee! If thrills aren’t your speed, don’t worry. There are mild thrills for you too. I loved going up on the Eiffel Tower and looking out over the park. If you live anywhere near Kings Island, you are going to want to buy a Season Pass. It is the most economical way to enjoy the park all season long. With all of the special events that King’s Island shares all year, you’re going to want to go often! June 3-5, 2016 is the Food Truck Festival! There will be more than 20 Food Trucks participating in this event. All foodies need to go check this event out. If you love movies, you’ll want to go every Friday in June. You can relax in a floating tube, swim or watch poolside and enjoy the movie. Enjoy music and games before the movie which begin at dusk. Have you ever been to Kings Island? I’d love to hear what you love the most! And if you haven’t, what do you think you would enjoy best? Have a wonderful, fun-filled summer! Great shot of the whole park. Wow! My kids love water and I love rides so this is the perfect marriage for our family. We’ve never been to King’s Island but now it’s on our wish list. Thanks for sharing! Now that looks like something I would totally do! I love waterparks and this one looks WAY better than the ones that are here. That’s a great water park I love parks that have a lot of different play options. Oh my, I wish I lived near there. We don’t have any waterparks in our area so we try to vacation around spots that do. I’d love to visit this one sometime in the near future. That looks like a great waterpark! I haven’t been to an outdoor waterpark in forever!! Wow, that looks like a super fun place for the whole family. It would be so nice to soak in the water while watching a movie. What a great place for the whole family. We all love water and rides. I’ll this in our wish list. I have always wanted to go to King’s Island! It looks like so much fun for kids and adults! That looks like a lot of fun. I always love going to waterparks. My daughters have so much fun at them as well. If I’m ever in the area I’ll be checking this one out. Water Parks are a family favorite outing. This one look so fun. It is a great way to cool off in the heat of the summer. How fun! This looks like the perfect thing to enjoy this Summer. I haven’t been to an outdoor waterpark in so long, but this one looks like so much fun! We are looking forward to hitting up the water park and amusement park this summer. My kids love them! Where is King’s Island? Looks SO fun. I love amusement parks in the summer. I’m hoping my kids will be the perfect age this year at 7, 7 & 5…at least the water parks! It is close to Cincinnati, OH. My kids would love this place!! Amusement parks are one of their favorite places to vacation at! My family LOVES water parks. For us we would rather spend a summer day at a waterpark than the movies, an amusement park or the fair! Looks like so much fun! I can’t remember the last time I went to a water park for some fun. I know it’s been some years. I have never been to King’s Island, but I would love to go! My mom has been before. Splash River sounds similar to something we have at a park around here. This place is huge! 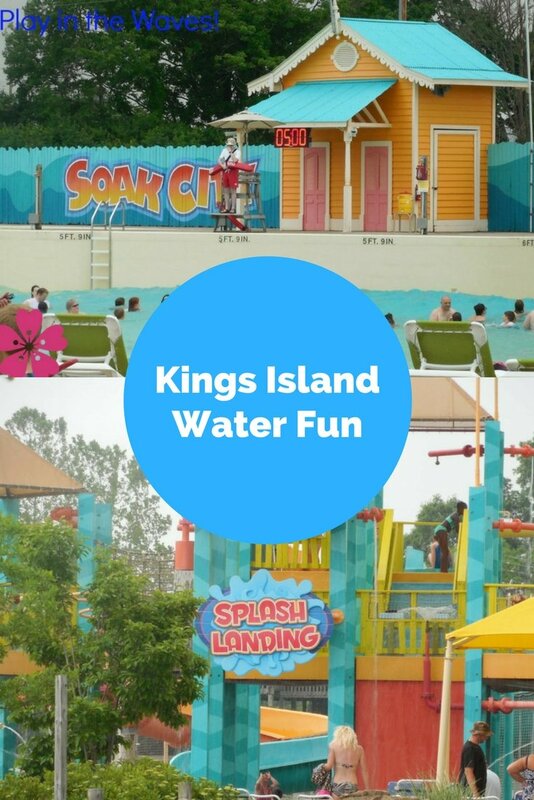 My kids would love to visit Kings Island, there is so much to do and so much water.